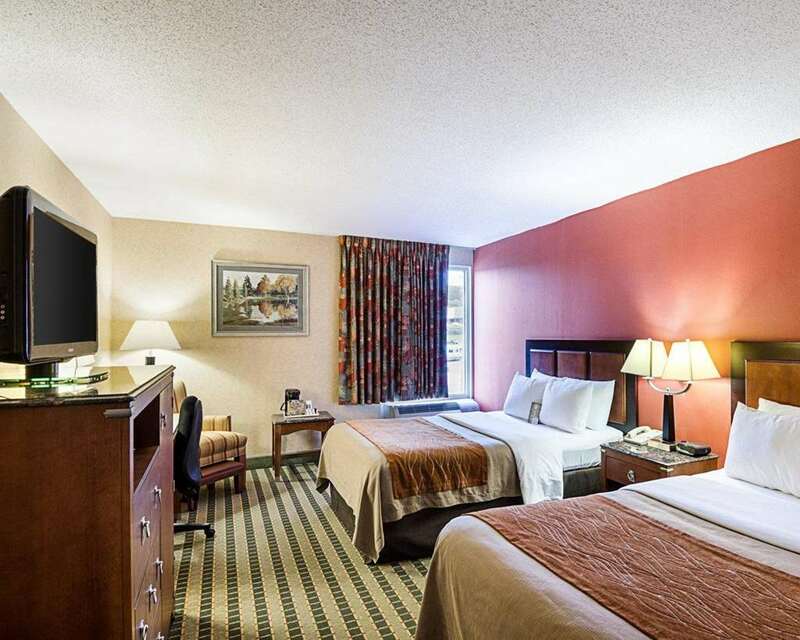 Rest up and refresh yourself at the pet-friendly Comfort Inn hotel in Troutville, VA. We give our valued guests easy access to such nearby points of interest as Hollins University, Botetourt Sports Complex, Ashley Plantation Country Club, Moyer Sports Complex and Berglund Center. Get ready for the day with such amenities as free WiFi, free ample parking, free hot breakfast, free coffee and a seasonal outdoor pool. Behind every great day is a great night in your cozy guest room, which features a refrigerator, microwave, coffee maker, flat-screen TV, iron and ironing board. Also, earn rewards including free nights and gift cards with our Choice Privileges Rewards program.